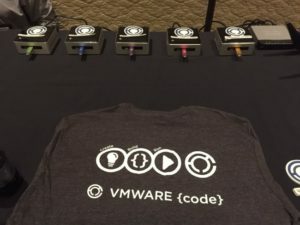 This year at VMworld SFO and BCN I was involved in organizing a couple of great hackathons with the @VMwareCode guys and William Lam, these were highly successful and I have to say the highlight of both my VMworlds. The teams were great, the end projects were fantastic and most of all, everyone that attended told me they learned something, this if you ask me was the main objective for the hackathon. If you attended I do want to extend a huge thanks for joining in, having fun and learning with us. For the hackathon we needed to build a lot of these units, whilst we did some parts of it manually William and I recently took the time to complete the automated deployment of these units, in fact the script is not specific to these units, it will work on any ESXi host with 2 disks, one for performance and 1 for capacity. Of course you can also adjust the script to use more disks if you have them! Recently I was asked by someone how they could do rolling automated updates from ESXi 5.1 to ESX 5.1 Update 1 in their environment using PowerCLI, obviously there are a number of ways to achieve this and William Lam did a great job of showing these in this blog including a piece of sample PowerCLI code. 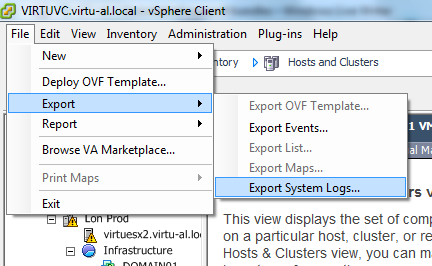 Just released on the VMware Flings site is a fling which is designed to help when you make the move from ESX to ESXi, this tool will help you check hardware software and also that there are no lingering scripts or locally stored VMs etc. During VMworld most people I talked to were either moving to ESXi or excited by the new features of vSphere 5 and were investigating what they would need to do to upgrade and get the latest and greatest. Those who attended the Hands on Lab were lucky enough to grab a poster bought to you by VMware Technical Marketing, this year VMware were giving out two posters, the first is the “VMware Management with PowerCLI 5.0” poster which can be downloaded here. 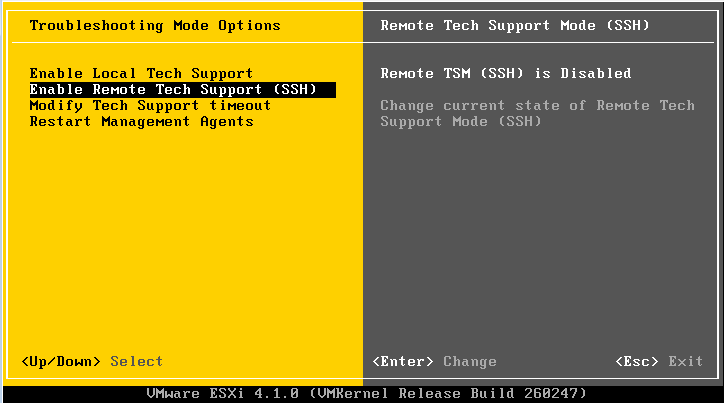 ESXi is based on a system image, VMware used to call this a firmware but some people found this misleading, most people still refer to it as firmware but in this post I will refer to it as a system image. The system image is a unified image which is the same whether booting from USB, Hard Disk, PXE or any other media. 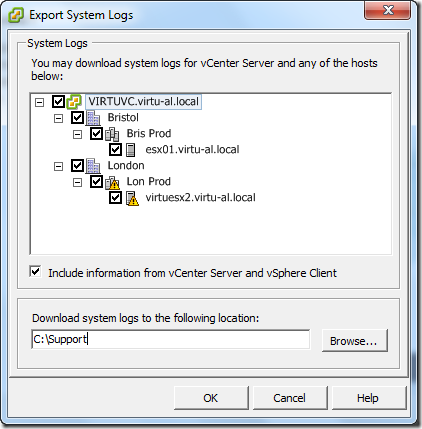 The logic in the first boot will provide auto configuration based on the kind of installation you have. One thing to remember about ESXi is that it is memory based, so once booted the system image is entirely loaded into memory, ESXi doesn’t care if the original media disappears after boot, there is no reliance on the boot device for running after booting. ESXi is essentially made up from a number of tardisks (VM TAR files) or archives, these tardisks are mounted into the empty root filesystem in order of enumeration, one of these is called the state tardisk or state.tgz. The state tardisk is made up of any file in /etc which is marked as sticky, VMware uses the sticky bit to flag the files which are to be included as part of this tardisk but only if they reside under /etc, these are files like esx.conf, inetd.con, passwd…. These are the files which will be persisted after boot. I received an email recently from a gentleman asking if it was possible to export the support bundles for each host on a daily basis, this can be useful for not only having an archive of your system logs to help resolve problems and work out when they started but also useful for auditing purposes. 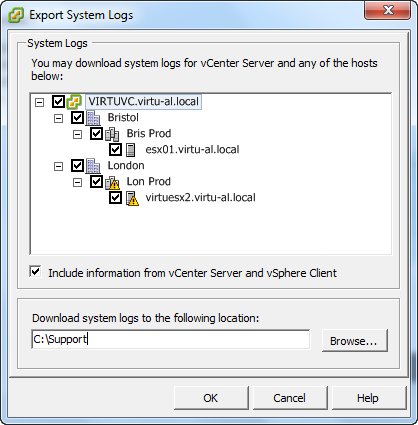 At the moment he was doing this manually every day by using the virtual infrastructure client as can be seen below – you can imagine how long this was taking ! And last in this series of presentations given in London on the 8th October but by no means least is Advanced performance troubleshooting using esxtop, this was an absolutely fantastic presentation by a guy who blew my mind, the best bit was when someone asked him a question and he told the audience member where to find the information on the system and how to decode it from the hex file it was written in – A serious Guru ! Unfortunately there was an issue getting the audio of this session so it looks like we will have to stick with the slide deck but please do not be disappointed as this is 59 deep dive slides on esxtop including some of the new counters only relevant to 4.1, please check it out its great stuff. 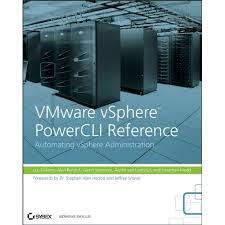 Following on in the series of presentations (listed below) given by VMware on the 8th October in London please find below the PowerCLI & Onyx slide deck and MP3 file. This presentation focused on PowerCLI and Onyx, they skipped some of the easy stuff that normally goes at the start of a PowerCLI deck mainly because the London crowd is used to me force feeding them PowerCLI on a regular basis ! Its a great deck and a good listen on the MP3, some interesting questions and comments made throughout the deck.